December 1, 2010 by Fr. C.
“How beautiful are the feet of them that preach the gospel of peace, and bring glad tidings of good things.” –Romans 10:15. I was honored to be asked by Fr. Nick to be asked to deliver the homily on this feast of Saint Andrew and to celebrate the Kirkin’ o’ the Tartan. You see, whenever we come around to Saint Andrew’s Day in the church calendar I am reminded of my mother who was a grand-child of the diaspora—no, not the one from the book of Exodus–but one that ran from Glasgow to Belfast to the States to here. She was a woman who took great delight in letting everyone, and I mean everyone, know about her Scottishness, particularly my father, of the plight of the poor Englishman—the Englishman whose national costume is a worn raincoat patented by one Charles MacIntosh, a Glaswegian. She would remind my dad that the Englishman drives a car fitted with tires invented by John Boyd Dunlop of Dreghorn…Scotland. At the office he receives his mail with adhesive stamps which, although they bear the queen of England’s head, were invented by John Chambers of Dundee…Scotland. The Englishman might have occasion to use the telephone, invented by Alexander Graham Bell of Edinburgh, which is of course, in Scotland. 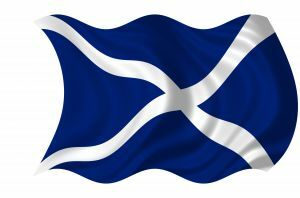 At home in the evening, the English squire watches the news on a tellly which was invented by John Logie Baird of Helensburough…Scotland and hears an item about the U.S. Navy founded by John Paul Jones of Kirkbean, Scotland. Now having been reminded too much of Scotland of the Scots, in desperation the gent picks up the Bible, only to find that the first man mentioned in the foreword of good book is a Scot – King James VI – who authorized its translation. Nowhere, nowhere can an Englishman turn to escape the ingenuity of the Scots. He could take to drink but the Scots make the finest in the world—in despair over the omnipresent Scots, he might think of ending it all, only to find that his breech-loading rifle was invented by Captain Patrick Ferguson of Pitfours, Scotland. So he goes back to the previous step, sipping single malt and contemplating his fortune, safe…safe in the Bank of England which…founded by William Patterson of Dumfries, Scotland. Ingenious and omnipresent, these Scots—they seem to travel everywhere. And they have been a faithful people, for there is a long history of Scottish missionary zeal throughout the world. There are few things more formidable than a Scots preacher—in one church in Indiana where I served as a youth pastor during college they maintained that their Scottish founder rode more than a million miles in his 50 year ministry. Perhaps that is why the expression in his portrait which hung in the sanctuary was so pained. But, this missionary zeal may well account for Saint Andrew’s patronage over the Scots. And so we turn to the Saint whom we commemorate this day-one of the patron Saints of this parish. Saint Andrew’s life teaches us so much about Christian discipleship and the need for missionary zeal, and gives us a great example as we have just begun this holy the season of Advent. I’d like to focus on three elements: Andrew’s time at the Jordan, his bringing others to Christ, and then his preaching of the Gospel even unto death. We first encounter St. Andrew at the Jordan River with St. John the Baptist, “the forerunner”—the forerunner of the Jesus, who was there making straight the paths to receive the Lord. Those paths were straight enough in Andrew’s heart and mind so that when John Baptist, one day, looked up and said, “Behold the Lamb of God!” Saint Andrew immediately left John and went and saw where Jesus lived. (John 1:35) After only a few hours, Andrew had recognized Christ Jesus as the Messiah. He went to fetch his brother Simon, told him that he had found the Messiah, and brought Simon to Jesus. Later on we find Andrew bringing both the boy with the five loaves and two fish to the Lord-the raw material for Jesus’ great miracle of the feeding of five-thousand. After Pentecost, Christian tradition says Andrew proclaimed the Gospel in Greece, which led to his martyrdom in Patras, being crucified on a decussate or X-Shaped cross in Achaia, northern Greece. The passage in our first reading is a free quotation from the prophet Isaiah, applied by Saint Paul to the glorious proclamation of the Gospel to the world, and therefore especially appropriate for our consideration upon the feast of the first missionary, Saint Andrew. The text brings before us the dignity, importance and moral beauty of missionary work. Advent brings home for us the fact that world is waiting in darkness even as on the eve of the Nativity. Individual souls even in nominally Christian lands are waiting to have brought home to them, by the words or influence of some Christian worker, some missionary for Christ, that truth which is the most precious in the world—the value of the soul as the object of God’s love, its future in heaven or hell, and the means of its salvation as summed up in the Gospel of Jesus Christ. The circumstances under which Isaiah uttered this beautiful passage recounted in the Epistle of Saint Paul to the Romans is important to our message. The second portion of the prophecy of Isaiah, from the fortieth chapter to the end, is concerned with the return to Jerusalem of the exiles from Babylon. It is mingled with the prophecy of that glorious restoration that he foresees the establishment of the Messianic kingdom, and the proclamation of the Gospel to all nations. First, then, Jerusalem in the time of Cyrus is represented with a watchman upon its walls, announcing the appearance over the surrounding mountains of the messengers who herald the approach of the returning exiles. “How beautiful upon the mountains are the feet of him that bringeth good tidings that publisheth peace.” The messenger is glorified, and made and becomes beautiful on account of the message that he brings. Long had the city lain in ruins. Now once more it was to be rebuilt, and the worship of God restored in His temple. And by the time that Saint Paul wrote, the Messiah had come and had been rejected. He had wept over the city He loved so well, and proclaimed its doom. But with the fall of the earthly Jerusalem the universal kingdom of Christ was to be established at the Second Advent. So Saint Paul applies the passage, not to those who are approaching, but to those who are leaving Jerusalem—going out from Jerusalem–with the knowledge of Christ, to proclaim the Gospel to the whole world. As we hear in the words of the Psalmist, “BE joyful in the LORD, all ye lands: * serve the LORD with gladness, and come before his presence with a song.” The great commission as prefigured in the Psalms. St. Paul, in applying these words of Isaiah, gives expression to his conception of the splendor of missionary endeavor. It is the bringing to souls, held in a captivity worse than that of Babylon, the good news of salvation; and the first messengers who cross the mountains around Jerusalem to go out to the world with the Gospel of Christ are the Apostles. Beloved in Christ, it is to missionary work that all the Christian world at one time or another owes its knowledge of Jesus. Every Christian nation has its story of the pioneers of Christianity, its soldiers of Christ, the first who brought the good tidings to that country while it was still heathen. But of all this noble army Saint Andrew is the leader, the first missionary, the first to follow Christ, the first to bring another soul to Jesus. You see, Saint Andrew had truly the missionary spirit of promptness in accepting Christ’s invitation, “Come and see” (Saint John :39); of zeal in bringing another, his brother Peter, to Christ; and later, of readiness in obeying Christ’s call to leave his boats and nets, and to follow Him. He had the missionary’s love of souls and fellow man, the missionary’s appreciation of the capacity of the soul for the call of Christ. (St. John 12:20-22). As Saint John Chrysostom once noted, look at the faith of Andrew and his brother and their obedience. For though they were in the midst of their work when they heard his command they did not delay or procrastinate. They did not look inward to what they had, and try a cost benefit analysis or even say, “Let us return home, and talk things over with our family.” Instead, “they left everything behind and followed,” even as Elisha did when he followed Elijah. For Christ seeks this kind of obedience from us, such that we delay not even for a moment, no matter what excuse we may think that we have to resist the call. As to the second question, the missionary imperative, Saint Andrew’s first instinct was to bring others to Christ. As we have heard, the first man he brought was his brother Simon. How could he possibly know what the Lord had in store for his brother? His sibling, a simple fisherman like him, was to be made the rock on whom the Lord would build his Church. Who knows what the Christ might do with those we introduce or bring closer to him? God may need us to be the instrument, or the fishing hook, even to bring future deacons, priests, bishops, religious, or even great saints to him. Likewise, little did Saint Andrew know that bringing the simple boy with fish and bread to the Lord would lead to one of the greatest miracles Jesus ever performed, or that his introducing some Greeks, some non-believers to Christ, would inaugurate a new stage in the spreading of the Good News. We just never know what can happen when we introduce someone to Jesus. Here is a key lesson for those of us who are traditional Anglicans. After the years in the wilderness, we have may have grown comfortable, comfortable in our parishes, perhaps even complacent in our lives. How easy it is to look inward—inward to the boats, and nets and things that make the livings that make life comfortable. The inward gaze, to run home to evaluate or question the call to follow and fish, that will be the end for us. We shall become a footnote to ecclesiastical history. Beloved in Christ, we are called out as was Saint Andrew—we are called to bring the unalloyed faith to a darkened and hurting world. So, let us redouble our efforts this Advent and in memory of Saint Andrew to bring each other into closer relationship with Christ and to bring others to him—it is our mission. Finally, Saint Andrew brought people to the Lord not just by his actions, but by his words as well. We don’t have any extant letters or homilies from him. But we do have an ancient account of his martyrdom, in which we can see the way he died and extrapolate from there to how he would have lived. The martyrdom account says that it took him 38 hours to die on that X-shaped Cross. During those two days, it adds, he preached incessantly to the people. We can only imagine how difficult it must have been for St. Andrew to preach under those circumstances, difficult even to draw breath. Yet, he preached the Gospel not only with his lips, but in his life and until its very end. This ultimate witness on the Cross, his two-day long martyrdom, shows us quite clearly how much he was dying to bring the Good news to others, a truth worth living for until the very end, and a truth worth dying for. So, on this Saint’s day, let us ask the tough questions…the Saint Andrew’s questions. Do we have his missionary spirit, and what are we doing to show it? In regard to home missions, are we interested in the souls of our friends and relations in leading them to Christ? With respect to foreign missions, to our ACC Missionary Society of St. Paul, do we devote time to a study of missionary fields, their needs, and possibilities? Are we regular in prayer for all foreign missions, and especially for those for which we have undertaken to pray? In almsgiving, do we strive to support others in the mission field? Surely Saint Andrew’s Day calls us all to renewed effort in missionary work, and Saint Paul reminds us “How beautiful are the feet of them that preach the gospel of peace, and bring glad tidings of good things,” and this applies not only to those who go out them­selves into the mission field, but to those who by their prayers and alms enable others to act as substitutes for them. And so we turn to St. Andrew as we prepare to cross the threshold of Advent and ask that it might be a great period of preparation for us. May we be serious about making straight the paths for the Lord, so that when we hear the words “Behold the Lamb of God”, we may cling to this Lamb, bring others to Him, and preach Him, with our lives and with our lips, for as long as we have breath! Amen!